From creator Kurt Sutter comes the adrenaline-charged Sons of Anarchy, featuring extended episodes and kicking into high gear with its biggest, most explosive season ever! As SAMCRO's new president, Jax is surrounded by ruthless enemies and gut-wrenching betrayal. With Gemma ﬁghting for control of the family and a bloodthirsty Clay out for revenge, Jax ﬁnds himself haunted by the sins of his past. Alliances are forged, friends are murdered, and loyalties are put to the ultimate test. Now, with the truth in sight, Jax must do whatever it takes to secure the legacy of brotherhood and protect his family --- even if it costs him everything. Are you a fan of Sons Of Anarchy? I had only ever seen episodes last year when I had watched season 4 to review and I was so hooked on it that I just had to watched the previous seasons. I do love the show very much and I am am hooked on it. Season 5 is just as good as the others. 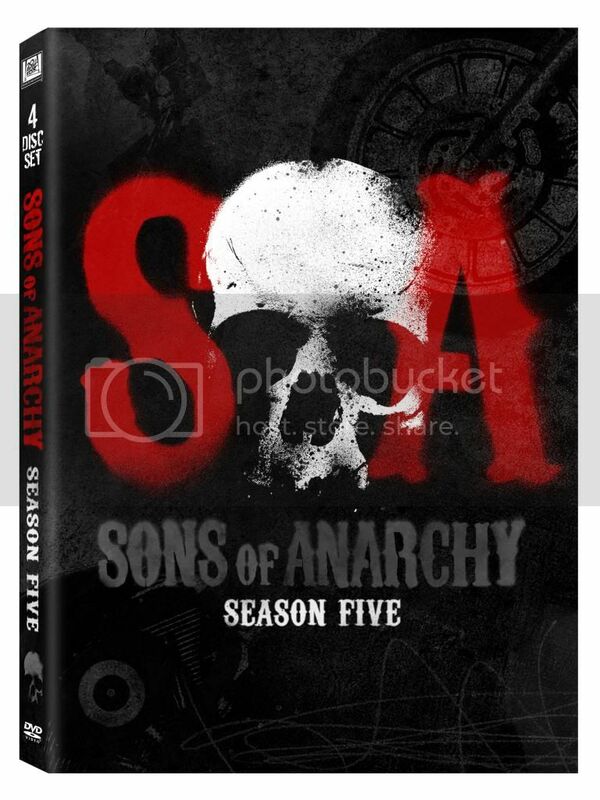 You can now prurchase Sons Of Anarchy season 5 on Blu-ray or DVD in stores and online.